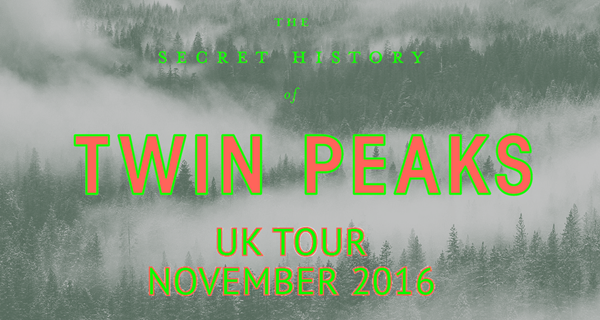 We are sad to announce that the tour to promote The Secret History of Twin Peaks by Mark Frost is now postponed until 2017. Owing to Mark Frost suffering from early symptoms of pneumonia, his doctor has advised him not to take any long flights and to rest. He therefore will not be travelling to the UK for press and events next week 14-19 November. It is with sorrow and disappointment that Mark has had to do this and thanks his fans for the wonderful support that they have already shown since the publication of the book. We wish Mark a speedy recovery and hope to reschedule the tour for early 2017. Any press queries, please contact Kate Green on [email protected]. Mark Frost's The Secret History of Twin Peaks is out now. Visit www.secrethistoryoftwinpeaks.co.uk to find out more.